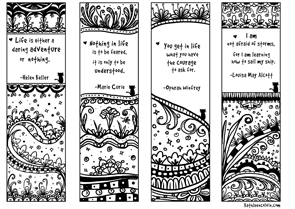 You are here: Home / News and Announcements / Thank Goodness! 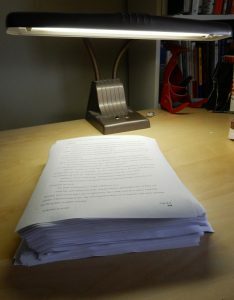 I Finished the First Draft of My Latest Novel! Thank Goodness! I Finished the First Draft of My Latest Novel! 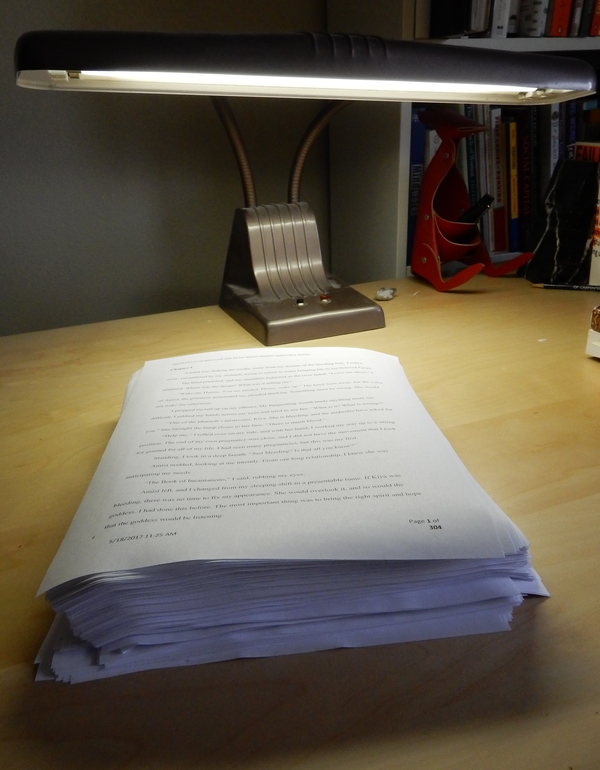 Yesterday at 9:30 AM I wrote “Finis” on a 304-page first draft of my latest novel. I couldn’t resist writing a dramatic Latin word at the end, because it’s been a hard slog. I started the draft the first of December. There’s been some delays, like the death of my mother-in-law and a 2-week trip to the Southwest to try to recover. So every character in the novel nods their head. (I’ll fix it later). A significant character disappears after the first six chapters (I’ll fix it later). The love interest doesn’t even get one smooch with my protagonist (I swear, I’ll fix it later). Frankly, the draft smells like 3-day-old fish that’s been left out on the counter. First drafts generally do. And yes, I’m pooped. But I was motivated. I talked to my sister before she left for France a few weeks ago about finishing the novel before she returned. “How can you get it done without me nagging you?” she said. On the phone, she couldn’t see my eye roll. But her question made me doubly motivated. I’m a self-disciplined kind of gal. So precisely 12 hours before my sister arrived at the Charles de Gaulle Airport in Paris to return to the U.S., I was done! Finis! 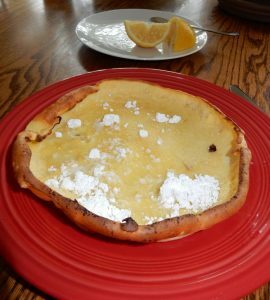 And before my sister had boarded her plane, I had consumed my celebratory dinner of German pancakes with lemon and powdered sugar, a treat I’ve had since I’ve been a kid.